Australia announced plans on Thursday for a fleet of giant hi-tech unmanned drones to help patrol the nation’s borders, monitoring energy infrastructure and attempts to enter the country illegally. Prime Minister Tony Abbott said the Triton Unmanned Aerial Vehicles, which can remain airborne for 33 hours, would be based in the southern city of Adelaide. 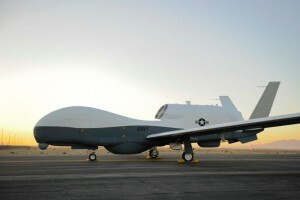 A report in February said seven of the US-made drones would be purchased for Aus$3 billion (U.S. $2.73 billion), but Abbott said the details of how many and when had yet to be finalized. “These aircraft will patrol Australia’s vast ocean approaches, and work closely with other existing and future Australian Defence Force assets to secure our ocean resources, including energy resources off northern Australia, and help to protect our borders,” he said. Australia is expected to use the drones to patrol far over the Indian Ocean, which has become one of the world’s most vital energy supply routes. They could also be used to detect illegal fishermen and asylum-seekers, who frequently enter Australian waters to the north on rickety boats, usually setting sail from Indonesia and Sri Lanka. The announcement comes just weeks after Canberra said it would buy eight new Poseidon aircraft for Aus$4 billion (U.S. $3.63 billion) to form the core of its surveillance and maritime strike capacity for decades to come. “Given that Australia has responsibility for something like 11 per cent of the world’s oceans, it’s very important that we’ve got a very effective maritime surveillance capability,” Abbott added. 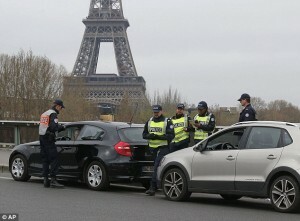 Hundreds of police manned checkpoints around Paris from dawn on March 17, to stop any car whose license plate ended with an even number from entering the city. By midday on Sunday, Paris police said they had handed out nearly 4,000 fines to drivers not respecting the restriction, aimed at reducing the “dangerously” high levels of harmful particles that have blighted the atmosphere for five straight days. There was half the usual number of traffic jams. Yet droves of Parisians could still be seen driving around in their “banned” vehicles – either pleading total ignorance or hoping the police would turn a blind eye. At a busy crossing…in Paris’ northeastern [section], police were stopping cars every minute to inquire as to why they were on the road with an even number plate. “I thought zero was an odd number,” pleaded Jules Taieb, 68, rather unconvincingly, who runs a prêt à porter clothes business. Like many Parisians, the motorist had left his own car in the garage and rented a vehicle he believed was allowed on the road. “We decided to let him off as we think his mistake was in good faith,” said a police officer. Taxi drivers…confirmed that there were far less cars on the road. His prediction proved entirely accurate as by mid-afternoon, the government announced a lifting of the partial ban due to a “clear tendency towards an improvement” in air quality. Palestinian Authority President Mahmoud Abbas gained Arab League support on Sunday, March 9 for his refusal to recognize Israel as the nation state of the Jewish people, a week before his planned meeting with President Obama (which took place March 17). “The council of the Arab League confirms its support for the Palestinian leadership in its effort to end the Israeli occupation over Palestinian lands and emphasizes its rejection of recognizing Israel as a ‘Jewish state,’” Arab foreign ministers said in a statement in Cairo. Arab League chief Nabil Elaraby said Israeli Prime Minister Benjamin Netanyahu’s demand goes beyond the framework of the negotiations and that there was no need to accept this Israeli position. These statements came fast on the heels of unequivocal comments by Abbas in recent days against compromising on this issue, one of Prime Minister Netanyahu’s key demands. If the international community wants to see peace, the official said, it needs to take the Palestinians to task for its maximalist positions. b) Why is maritime surveillance so important to Australia? Be specific. c) Do you think this type of surveillance is a good idea for Australia? How about for the U.S.? Is the government’s use of drones patrolling our land and ocean the best way to protect us? Explain your answer. Ask a parent the same question. b) What was the purpose of banning drivers with even-numbered license plates from entering Paris on March 17? c) How did taxi driver Sami Iazogen view the ban? What do you think of his assertion? b) Why must Israel insist that the Palestinian state (and the Arab League) acknowledge Israel as the nation state of the Jewish people as a condition for any peace agreement? Cherif Bacha, 46, an electrician at Orly airport, entered Paris on his scooter for a dental appointment with an even number plate. “I work nights and didn’t see the news yesterday and had no idea about this rule,” he said. But he supported the move and already wore a mesh over his nose and mouth to fight pollution. In the speech, Abbas also rejected the notion of settlement blocs. Channel 2, meanwhile, reported that Netanyahu directed his cabinet secretary Avichai Mandelblit to study the complicated model of enclaves and exclaves along a section of the Belgium-Netherlands border, as a possible model for allowing settlements to remain in place in the West Bank following an agreement. Netanyahu said in interviews over the weekend that he would not evacuate settlements, though some of them would not remain within Israel’s permanent boundaries. In a related development, chief Palestinian negotiator Saeb Erekat said that Abbas told him he won’t quit talks until the fourth Palestinian prisoner release at the end of the month. 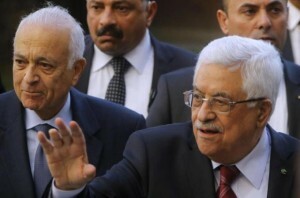 Erekat said he urged Abbas to abandon the negotiations. Israel is scheduled to release a final batch of 26 Palestinian security prisoners on March 28, the last of 104 convicted terrorists Israel took upon itself last July to set free as a way to begin negotiations with the Palestinians. The nine-month talks are set to expire at the end of April. Diplomatic sources are expecting a frenzy of US diplomatic efforts over the next two weeks, in the hope that US Secretary of State John Kerry can present his framework paper before the prisoner release, to ensure that the release takes place and that the talks continue past their late April deadline. Deputy Foreign Minister Ze’ev Elkin, who is opposed to the prisoner release on principle, responded to Erekat’s comments by saying there was no point in releasing the prisoners if the Palestinians were not willing to continue the talks. “I think we should demand that the Palestinians give a clear answer before the release whether negotiations are continuing or not,” he said. 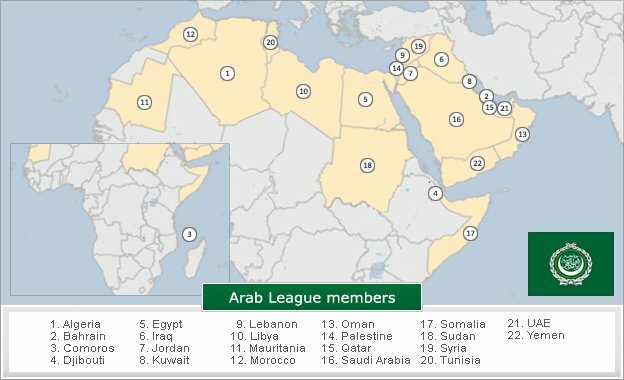 The Arab League has 22 member states. The Arab League was founded in Cairo in 1945 by Egypt, Iraq, Lebanon, Saudi Arabia, Syria, Transjordan (Jordan from 1946) and Yemen (North Yemen, later combined Yemen). There was a continual increase in membership during the second half of the 20th century, with additional 15 Arab states and 4 observers being admitted.